Wednesday, September 28th, 2011 | Author: Bunco Betty! It’s time to start thinking seriously about our boobies…yes, I said it! Look at them…give em’ a squeeze! What would we do without them?? 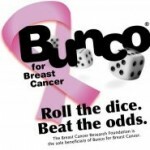 Let’s celebrate this month and have a Bunco Party with a Breast Cancer Awareness as the Theme of the month. We all know that a lot of women are struggling with Breast Cancer every day and giving back to this cause will make a great difference! 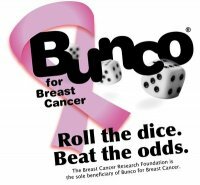 Let’s get all the bunco players out in October and Roll for a Cause!! I’m excited to post pictures of our Bunco for Boobies and would love to post you pics as well! !